As much as we try to rise above it all and not be judgemental, we really do judge books by their covers. With thousands of English-language books published every month, competition is fierce—your book needs an amazing cover to compete for readers’ money and time. Go to your library or bookstore. Visit the section where your book will be on the shelf one day. It will only be in one section, so choose your favourite. Have a look at all the covers. (There are so many. I told you the competition was fierce.) Pick each book up, one at a time, take photos with your phone if you need to. What designs appeal to you? Which ones repel you? Which ones look like they would be worth your time? It’s not really about whether a book is worth the money, it’s about whether the book is worth your time. In a bookstore, the competition is even fiercer—you’re asking for people’s money as well as their time! Consider pre-made covers. If your budget is stretched thin, you could try a pre-made cover. Put the words ‘pre-made covers’ and your book’s genre in a search engine and see what comes up. There are many sites that offer hundreds of covers in every genre you could think of. Many offer stylised looks—which you then personalise with your book’s title and your author name. Consider making your own cover. If all else fails, try out canva.com. This website has many pre-made or half-made covers that could work. Either load up your own images or buy them from Canva for as little as $1 each. I’ve made several covers for short stories with Canva—but these are exclusively for my newsletter subscribers. They look home-made, because they are. 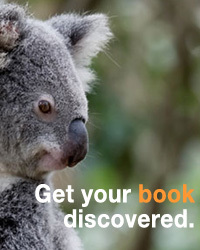 Ebony McKenna is a Melbourne-based author of seven YA novels and multiple nonfiction guides for authors. Her latest title is Get Your Book Into Australian Libraries. You can find her on Facebook or her website. If you find her wasting time on Twitter, tell her to get back to work.